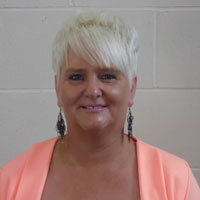 My name is Linda Walker and I am the Inclusion Leader at Sandy Lane Primary School. I have worked at the School for 19 years and have worked in many different roles. I am currently Inclusion Leader which means I am responsible for Attendance, Behaviour in school, Child protection, Holiday requests and Parental Involvement. I work alongside many agencies including School Nurses, Health Visitors, Social Workers, Education Social Workers and Children’s Centres. I work closely with the children supporting them in various ways, with issues such as bereavement, family breakdowns, transition, bullying, self-esteem issues, and friendship breakdowns and liaise with parents during this time. An important part of my role is ensuring that communication between home and school is a positive experience and parents know they can contact me at any time to assist with any concerns or issues that they may have. I can be contacted on the school telephone number 01274 546493 or by email office@sandylane.bradford.sch.uk (marked for my attention). I can also been seen in the playground at the start and the end of the day on occasions, so do not hesitate to approach me for a chat.